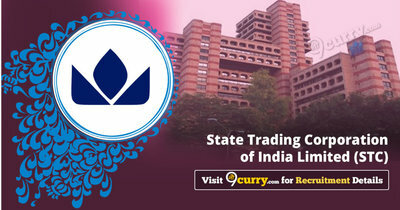 The State Trading Corporation of India Limited (STC Ltd.), New Delhi. Chartered Accountant or Cost Accountant or a full time MBA/PGDM course with good academic record from a recognised University /Institution. Eligible candidates may send their application in prescribed format (attached below) to Shri G. B. Upadhyay, Director, Department of Commerce, Room No.224-A, Udyog Bhawan, Maulana Azad Road, New Delhi-110011. on or before 26 May 2019, along with cadre clearance, vigilance clearance, integrity certificate, and ACRs for the last 10 years.